New shots show off Edit Mode, AR Mode, Live Studio, and more. Sega has released 194 new screenshots of Hatsune Miku: Project Diva F 2nd showing the game’s Edit Mode, AR Mode, Live Studio, and more. Several adjustments have been made to Edit Mode. Camera operability has been improved; visual effects like screen color changes and fade have been enabled; motion and background resources have been added; and there are musical instrument motions for the piano and violin, too. Players can upload a maximum of 80 pieces of edit data to PlayStation Network, as well as download edit data shared by others. Also in the screenshots, you’ll see the songs “Glory 3usi9” by Nanou, “World is Mine” by Ryo, “Spica: 39’s Giving Day Edition” by Toku, “Cantarella: Grace Edition” by KurousaP (WhiteFlame), and “Luka Luka Night Fever” by Samfree. On the module side, there’s “Nanairo Line” by TNSK, “Supreme” by Redjuice, “Orbit” by Refeia, “Rosa Blue” by Tomaru, “Rosa Bianca” by Tomaru, and “Cyber Nation” by Makura. View the screenshots at the gallery. 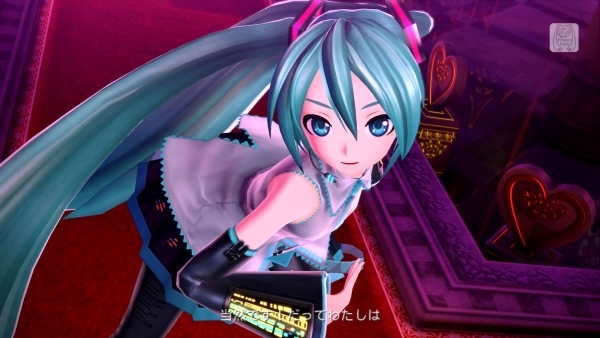 Hatsune Miku Project Diva F 2nd is due out for PS Vita and PlayStation 3 in Japan on March 6.